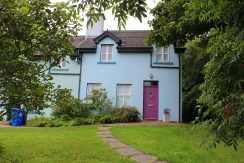 LETTERFRACK: Music and Pubs, Salmon fishing, Garden visits, Crafts and Pottery, Restaurants, Country store, Ocean and Country Museum, Outdoor activities. Highlights: Mussel Festival, Connemara Sea Week, Bog Week and many more. 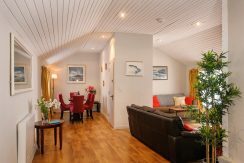 Letterfrack,10 km from Clifden and 5 km from Kylemore, is a thriving village famous for its relaxed atmosphere and lively Pubs. It is an enchanting village, which was founded by the Society of Friends (the Quakers) in the 19th century as one of a series of mission settlements along the north Connemara coast. 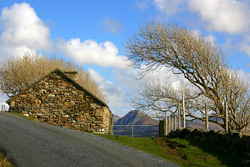 It is close to on Barnaderg Bay and the Diamond Hill, which dominates the village’s views. “The Diamond” is part of the Connemara National Park and has clearly marked and graded walking routes and offers excellent views of the surrounding countryside, and is a great starting point for aspiring hill walkers. 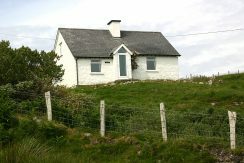 Connemara National Park, Situated in Letterfrack this 1,540 hectares park is of outstanding scenic and ecological value. The Commissioners of Public Works have been acquiring land in the Kylemore/Letterfrack area for almost a decade. The National park visitor centre contains an exhibition of the various features of the park, a lounge/rest area, toilet facilities and an audio-visual room, for slide shows. 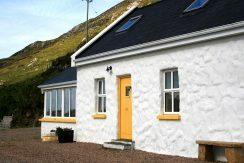 Short-distance walks have been laid out, while the more energetic visitor can explore further into the rugged Connemara countryside. The National Park is open to the public all year round and has activities for children in the school holidays.A short drive to the north is the famous Kylemore Abbey where the grounds include the now famous Victorian walled garden. 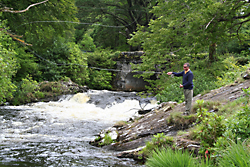 The Kylemore Abbey Fishery has its office in the Abbey car park, and offers salmon and sea trout fishing on five miles of river and three lakes. Through careful management fish stocks here in recent years appear to have improved.The best beaches are in Renvyle and Glassillaun, a short drive away. area when it was needed in the years after the famine. What is now the Connemara West Centre was part of the land and buildings sold by Ellis. To the south on the N59 towards Clifden along the Wild Atlantic Way is the famous Avoca weavers Craft Shop which is well worth a visit. If you go north on the N59 through Kylemore and Leenane you could spend a day in Westport which is just over the Mayo border. This is a scenic drive through the mountains and the Erriff Valley and is well worth the trip. 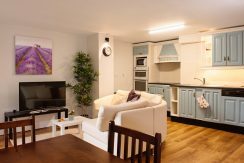 On the way you will pass Killary Adventure Centre where they do day activities such as Archery, Canoeing, Sailing. 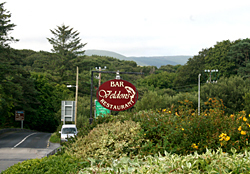 After a walk or drive book a meal in the local restaurants, then pop into Veldons Bar, The Cloverfox or Molly’s to round off the evening.